So the Tories circled the wagons and pretended that their party chairman Grant “Spiv” Shapps had done nothing wrong by claiming not to have used his alias Michael Green after being returned to Parliament in 2005, while in reality he used that name, and carried on a second job, for some time afterwards. He also used the party’s lawyers to threaten a constituent who said something about him that was actually true. And this morning, Shapps is still in post. 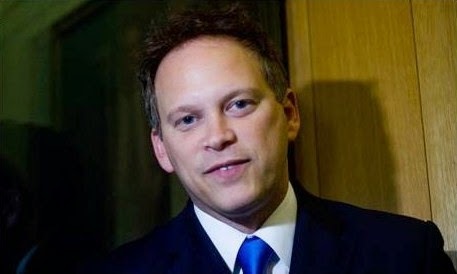 That this could prove increasingly untenable to his party has become clear after yet more unfavourable news has come rolling in, not least on the legal front: Dean Archer, the man Shapps threatened with lawyers, is now consulting his own lawyers with a view to taking action on the basis that Shapps owes Archer personal damages. The question is being asked whether Shapps misled his lawyers. In other words, this is, once again, about Shapps lying, which he did when he claimed not to have used the Michael Green alias and carried on a second job after 2005. That he did use the alias - and shamelessly so - prior to that date has been illustrated by a cheap and tacky presentation obtained by the Mirror, where “Spiv” shows the world his fast cars, his private aircraft, and tells that his MPV has a fridge in it. The Mirror feature does not cover the period after 2005 - but does give valuable pointers which help connect Shapps’ use of his alias to a much later date. His Get-Rich-Quick toolkit “would make those who bought it ’11 to 22 times more successful than the crowd as a result’ … But he warned punters they would have to move fast because he had taken the ‘difficult decision’ to limit supply to just 250 copies, saying: ‘I will delete the webpage and the mastercopy of this toolkit’”. With that in mind, consider the spiel described in EzSEO Newsletter #242, where readers are told about “Michael Green’s new product Google 1st”, and that “It promises to show you how you can dominate Google’s top 10”. And then comes the real pearler. “The fact that Michael is using this on his own business so successfully has lead to a dilemma. Should he really be releasing this toolkit? The last thing he wants to do is make these techniques common knowledge so that Google decides to act to block its effectiveness. Because of that, Michael told me that he may be withdrawing the product from sale as soon as sales pass a certain figure (he didn’t tell me what that figure was)”. When did this date from? Further down the newsletter, it talks of “one of my top picks for 2009 so far”. The link to Google 1st routes to the now dead howtocorppartner.com - HowTo Corp was Shapps’ company. This leads to one conclusion, and one alone - that Shapps was still pretending to be Michael Green, and still pushing his cheap and nasty get-rich-quick schemes, four years after becoming an MP, despite pretending otherwise. Still looking to circle the wagons and spin your way out of this one, Tory Party faithful? Your chairman is a liability. This will only get worse. No pressure, then. Whilst I agree entirely that Shapps is a grubby spiv and it beggars belief that anyone who had engaged in selling Stinking Rich 3 could go onto become a minister, I do not think it follows that he was still doing so in 2009 just because it the author of some newsletter picked up his (old?) product and featured it. Sorry, you've lost me with that one. The Andy Williams newsletter refers to a "chat" and an earlier one talks about having "spoken" to Michael Green (see #240 and #241: just change the number in the url). Words like spoken and chat - suggests a telephone call or Skype etc, IF that is the case then Michael Green must have been a male voice? Hence unlikely to have been Mrs Shapps. I guess only Andy Williams knows for sure (assuming he can remember a conversation from 6 years ago). Here you go: Google-1st.com Domain registered 22-Mar-09, so not an 'old' product. Possibly a trademark violation as well (to have Google in your product name). Hence likely why it was changed to SEO 1st or something a bit later. Below is a copy of a promotional email sent on by a Rob Taylor of Megastep International in April 2009. Note the reference to a "conversation I had last week with Michael" and the discussion about his printing company. Last week I had a conversation with a guy that I've mentioned to you before. He's one of the good guys. Someone who is hugely successful online, yet chooses to stay in the background working on his own business. Once in awhile, however, he releases a new product to help you succeed online. His name is Michael Green, and you may remember that he is the brains behind the phenomenally successful Money Tree Challenge last year and the 20-20 Challenge the year before. then I know that what he has to offer is going to be mind blowing. We all know that having a top page #1 listing in Google drives traffic to our websites. And traffic usually equates to money - unless you are doing something wrong! Well, how about having five of the top ten listings? Or seven? Or even NINE of the listings on Google's first page pointing to your web properties? In effect, how would you like to own over 70% of Page 1 Google search results for your chosen keyword phrase? Imagine the traffic that dominating the search rankings like that will bring. And then imagine the income that you can make from that traffic! I've always thought I do okay in getting my sites ranked. I regularly see #2, 3, 4 or #5 listings. And benefit from the free traffic accordingly. But one search result listed on the first page of Google is one thing - I've never dreamed of getting NINE. 'insider' SEO knowledge that I have personally paid many hundreds of dollars for. Michael Green: We spend over Ł10k a month on AdWords, so was keen to reduce that and improve results. Michael Green: Type in "KEYWORD HIDDEN FOR PRIVACY"
Michael Green: OK, so out of the results as I look at them now and these change every day, I have positions, #1, #2, #3. Rob Taylor: So the ****** page leads to your site? Michael Green: Then search for "print ***** ****". Michael Green: "Print **** **** ****" and we're #1, #2, #5.... you get the idea. done all the targeted work, the actual website involved is now boosted dramatically. the first dozen pages, now it puts us in #1. Michael Green: A position on a search term with nearly 9 million results which is worth thousands of pounds a month to us! Rob Taylor: So **********.co.uk is yours? reliant on one single thing. Rob Taylor: Using your system, how long does it take you to optimise for a specific keyword phrase? Michael Green: It takes around 3 hrs to optimize for any given keyword phrase. Michael Green: I recommend targeting individual phrases with less than a certain number of results, but the big prize is to have collectively done enough to pull in a HUGE keyword search term (as per my example above). Rob Taylor: So targeting easier long tail keywords that naturally lead in to a more popular keyword. Michael Green: Yes, but each targeted keyword phrase must (or at least should) be useful in itself too. Michael Green: You can see why it's all so powerful when put together. Rob Taylor: Absolutely. This is awesome Michael! Michael Green: And why I won't let too many people in on the detail. Michael Green: But as you can see, it works bloody well. Rob Taylor: LOL, it certainly does Michael. Thanks for taking me through the system. Michael Green: No problem Rob, it's been a pleasure. process is 100% white hat. It is completely and utterly above board. In fact, it is based on giving the search engines (yes,it works for Yahoo and MSN too) exactly what they want. You feed them exactly what they crave and they reward you with high rankings and free traffic. you will get to lock in a great saving. And after launch, numbers will be strictly limited so that those of us who will be using the methods won't be overwhelmed by too much competition. idea what works or why. Now, Google-1st takes the optimism out of the search engine optimization equation. Looks like the 'Megastep International' company that sent that email in 2009 is now based in Devon? "I just got off Skyping with Michael"
Surely that strongly suggests that Shapps was still working as Michael Green in mid 2009? "There is also a 36-minute interview that I conducted with Michael, that is well worth listening to." (Bear in mind Shapps resigned from HowtoCorp in July 2008 and said that was when he handed everything over to his wife).